Change is inevitable! – Putting the "hip" in "ships" since 2002! Home › Uncategorized › Change is inevitable! 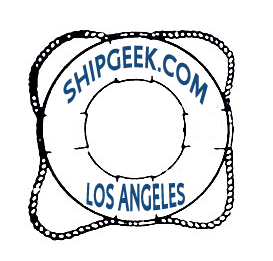 July 23, 2016 – Seeking to share the fun of OLOCD (Ocean Liner Obsessive Compulsive Disorder), I started ShipGeek.com way back in 2002. 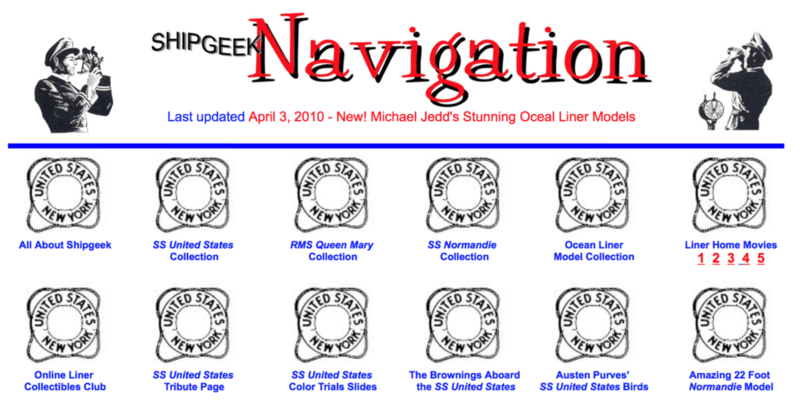 Back then, most similarly afflicted people called themselves “ship nerds” or “liner loonies,” but I’ve always preferred “Ship Geek.” The site was first built using one of Yahoo’s clunky but free online design programs. I never liked the look, so I set out to learn FrontPage and overhauled the site. Then, in 2007, when I switched to Mac, I lost the ability to update the site, and so it languished until I discovered iWeb, and was able to edit and add content. Then, when iWeb was discontinued, and by then, my geeky little website had grown into a Frankenstein’s monster of patched together programs, different templates, and all with no way to update or even edit it. 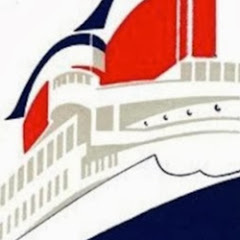 So I took the plunge and moved ShipGeek.com over to WordPress. Now here we are. Rather than put u all the old content, I’ve decided to do it blog style, so I can add items whenever I have a chance. Thanks for your patience during this dry-docking. If there’s any content you especially miss from the old site, please use the Contact Me link and I’ll try to comply. Welcome aboard and enjoy your voyage!